The King’s Valley goes from the top of Mount Scopus all the way down the mount olives, then heads back west up to Mount Zion. This is a very large piece of land that literally runs alongside the Temple Mount. When looking at the location of the King’s Valley, one might notice that it’s in a very disputed region, which is part of the beauty of it. You have a Jewish neighborhood on one side and an Arab neighborhood on the other. 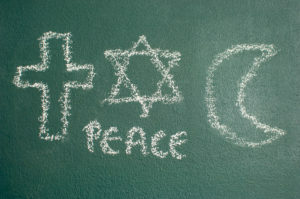 It’s almost like a line of conflict, a line dividing two completely different cultures, religions, and walks of life. Yet, this is where My Olive Tree is performing some of its finest work. 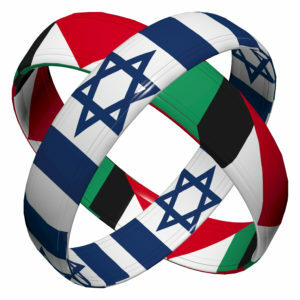 Everyone wants to make peace in the Middle East, from those of us watching from afar here in America, to the innocent civilians who are seeing their region torn apart and are powerless to do anything about it, to even many of the very people fighting the wars themselves. Inside all of our souls, we want peace. One day, this valley will be restored to its full potential. At My Olive Tree, we are working hard to bring that restoration forth in our lifetimes. We are seeking to make peace by restoring the land. The Israel Parks Department has asked My Olive Tree to replant the seven species of Deuteronomy 8.7-8. The government of Israel is endorsing it, the Arabs are endorsing it, and the Jewish civilians are endorsing it. Everyone agrees that restoring this region and bringing back life in the form of wheat, barley, vines, fig trees, pomegranate trees, date palms and olive trees is a positive endeavor. So while it may be known as the King’s Valley, it may as well be known as a valley of hope for the potential it has to bring people with greatly differing backgrounds together under a banner of peace. Arabs, Jews, friends from all religious backgrounds living in Jerusalem, are excited that My Olive Tree has taken an interest in creating a peace grove. We believe this gift of the King’s Valley will make a way to bring forth much other goodness into the region and to demonstrate the power of the love of God. For more information about our King’s Valley Seven Species project and how you can support it, contact us today at My Olive Tree.